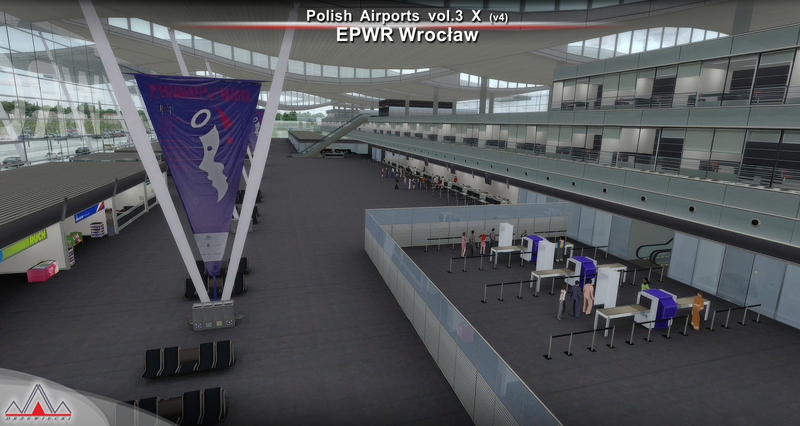 If you previously purchased DRZEWIECKI DESIGN - POLISH AIRPORTS VOL3 FSX P3D at simMarket, you are entitled to the special upgrade price of EUR 14.63 only. NOTE: The special upgrade price will be awarded automatically, therefore you must be logged into your same account used to purchase the previous version! If in doubt contact simMarket support first! NO REFUNDS GIVEN! 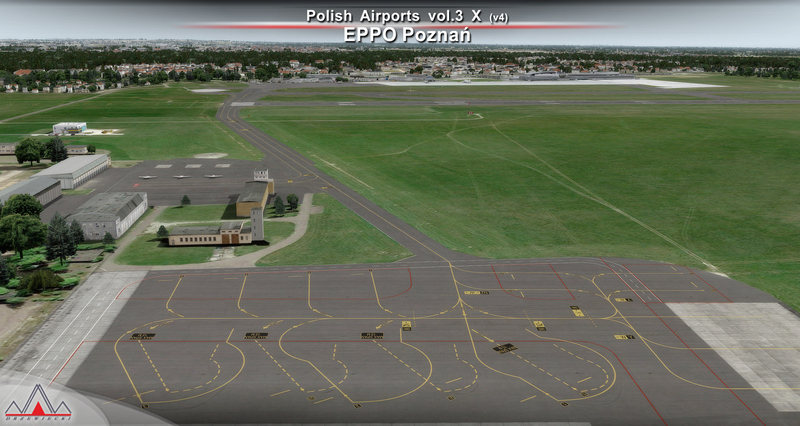 Polish Airports vol.3 is a package of highly detailed sceneries of EPSY Mazury, EPPO Poznań, EPWR Wrocław and EPBY Bydgoszcz airports in Poland. Poznań-Ławica Henryk Wieniawski Airport (IATA: POZ, ICAO: EPPO), built in 1913, is one of the oldest airports in Poland. It is located 5 km (3.1 mi) west of Poznań city centre. The northern section has been used as a military airport since its inception in 1913 as an Imperial German airbase till 23 December 2009. The southern section is used for civilian purposes. The prospect of relocating the airport elsewhere is often raised as a result of the flight path to the runway being located directly over the city. Bydgoszcz Ignacy Jan Paderewski Airport (IATA: BZG, ICAO: EPBY) (Polish: Port lotniczy im. Ignacego Jana Paderewskiego Bydgoszcz-Szwederowo) is a Polish regional airport in the city of Bydgoszcz, Poland. It lies only 3.5 km (2.2 mi) from the city centre. 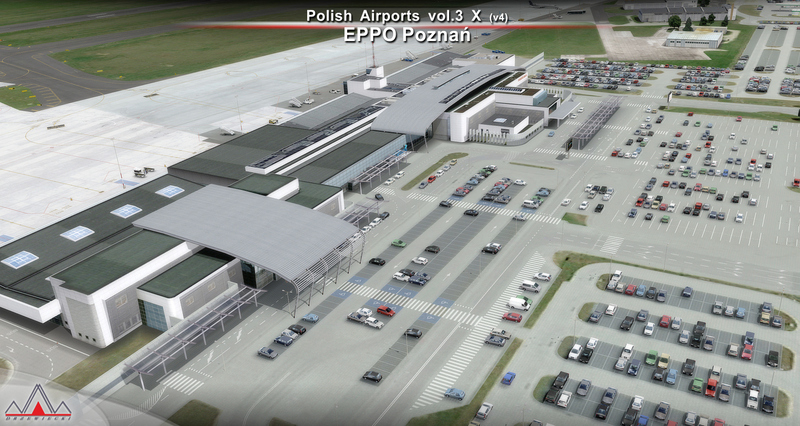 It is the eleventh largest airport in Poland in terms of passenger traffic. The airport served 331,388 passengers in 2017. It features one passenger terminal and four runways, the main being 08/26 which is 2,500 m × 60 m (8,202 ft × 197 ft). Bydgoszcz Airport was established during World War I for the German army. Wrocław Copernicus Airport (Polish: Port Lotniczy Wrocław im. Mikołaja Kopernika) (IATA: WRO, ICAO: EPWR) is an international commercial airport in Wrocław in southwestern Poland. The airport is located 10 km (6.2 mi) southwest of the city centre. It has one runway, two passenger terminals and one cargo terminal. The airport was built in 1938 for German military purposes before World War II (Schöngarten). It was operated briefly by Soviet forces following the war before being used for civilian purposes in 1945. The airport served 2,8mln passengers in 2017. The readers of "Business Traveler Poland" they voted the "Business Traveler Award" recognized Wrocław's airport, best Polish regional airport in 2013, 2014, 2015 and 2016. In 2017, the Sleepingairports.net portal recognized Wrocław's airport as the best in Poland and eleventh in Europe. The airport has upgraded to ILS system from category I to category II in April 2016. Olsztyn-Mazury Airport (IATA: SZY, ICAO: EPSY) or Port lotniczy Olsztyn-Mazury is an international passenger airport in the North-East of Poland, branded as the gateway to the Masurian Lake District. It is located near the village Szymany, some 10 km from the centre of the city of Szczytno in the Warmian-Masurian Voivodeship. 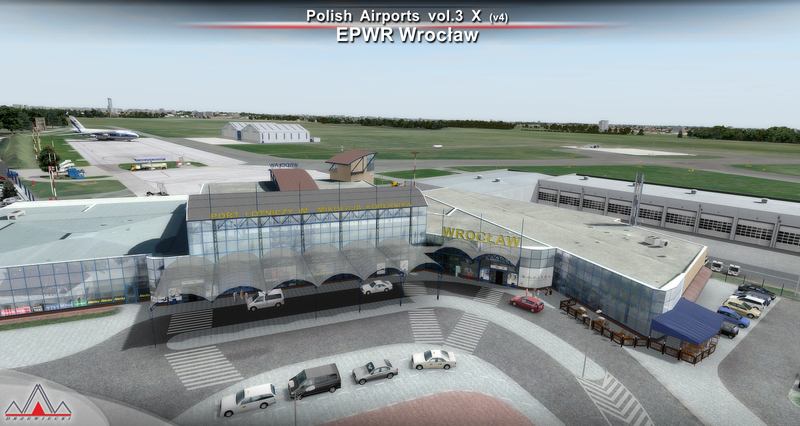 The airport was earlier known as Szczytno-Szymany Airport. The airfield in Szymany originates from 1933. Back then it was located in Germany, just kilometers away from the Polish border. Being hidden, within the woods, the airfield should be used as temporary facility during the war. So it did 1939 during the invasion in Poland. In 1945, the small airfield was in the hands of the Soviet army. As they were not interested in the facility, they left it in autumn 1945. From 2014 to 2015, the airport was rebuilt with high EU subsidies. Its runway was extended and overhauled; a new terminal, railway link and further facilities were erected. On 20 January 2016, the first ever scheduled passenger flight took off from the airport with a SprintAir service to Berlin. 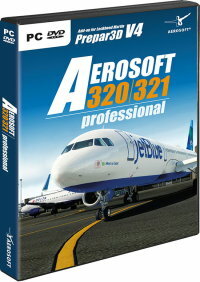 Currently it is used by low-cost carries and it is popular among general aviation pilots. 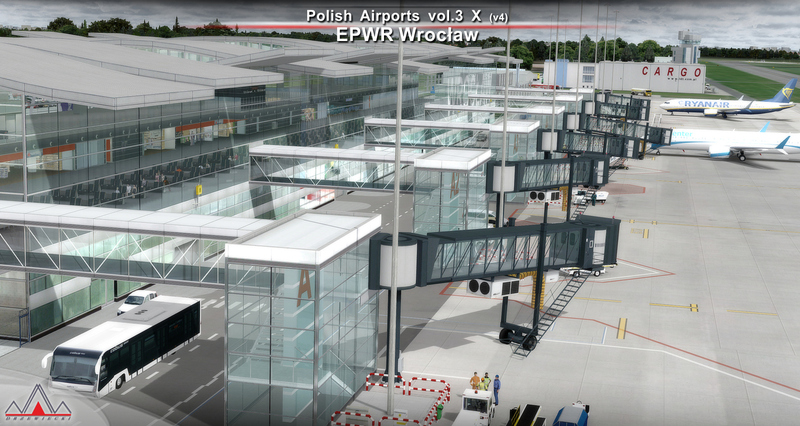 Polish Airports vol.3 X is compatible with all Drzewiecki Design products, all ORBX products, all PILOT’S products and all Megascenery products. It is not compatible with other products featuring included airports (it is not possible to select/deselect individual airports during install). 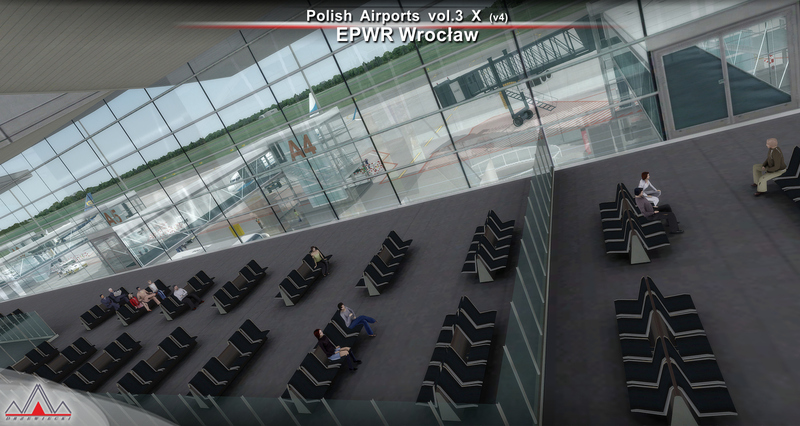 For me it's probably the best package of Polish Airports - very nicely-done airport buildings with interiors, animated jetways, static airplanes and lighting that can be active all the time. The real difference is being done by the surrounding photoreal cities with autogen and landmarks.  And what I admire and appreciate about this project and this developer, are the framerates and smoothness, which are simply the best! 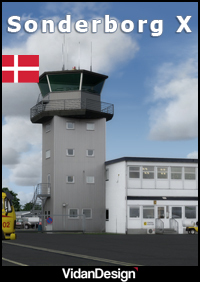 I believe this to be the best product of this series so far - with all new features like SODE, dynamic lighting, interiors at all airports 4 (or even 5) airports and 3 cities it really is a amazing deal and it definitely had to take a huge amount of work. I'm glad DD is keeping their Eastern European products up to date but I am waiting for their Chicago too! I've been waiting for this new version for ages but it was worth it! I love the EPSY rendition and all the work that was done with other airports. 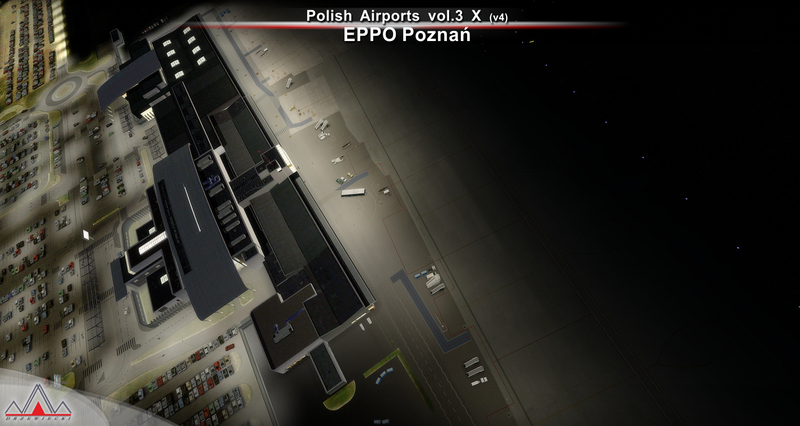 Very nice that Poznan city is included as it looks much better now when approaching the airport. Sode and dynamic lights work perfectly and do not really lower the performance, I hope DD will implement DL to their other products too.